The camera of the painting and drying pass-through type “Atis Aqua Trucker” (China) is being sold. 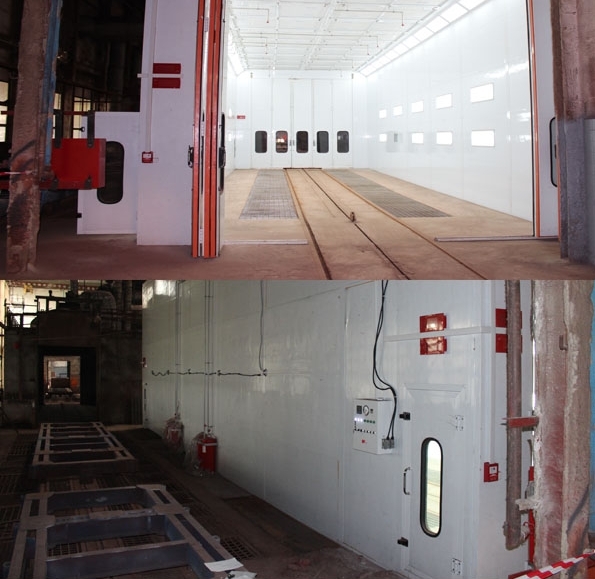 This chamber is equipped with rail ways for moving carload platforms, on which various constructions (up to 18 m), painted in the chamber, are located. Overall dimensions: length – 18 m, width – 6 m, height – 5,5 m.
Type of coolant – gas. The camera is used for painting large-sized structures.